19. Rapid ONVIF, by one key to make testing report, includes camera IP address, resolution and decoding, activate Hikvision camera. 21. 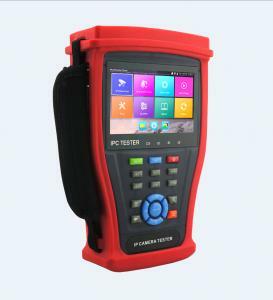 DH test tool app is designed for Dahua Camera test, support modify IP, user name and password etc parameters. RS485 control, Baud 600-115200bps, support Pelco-D/P, Samsung,Panasonic,more than 30 protocols. Output one channel PAL/NTSC color bar video signal for testing monitor or video cable.